Atomos is introducing two new field recorders, including the Samurai Blade, a 1280×720 resolution, five-inch monitor-recorder. 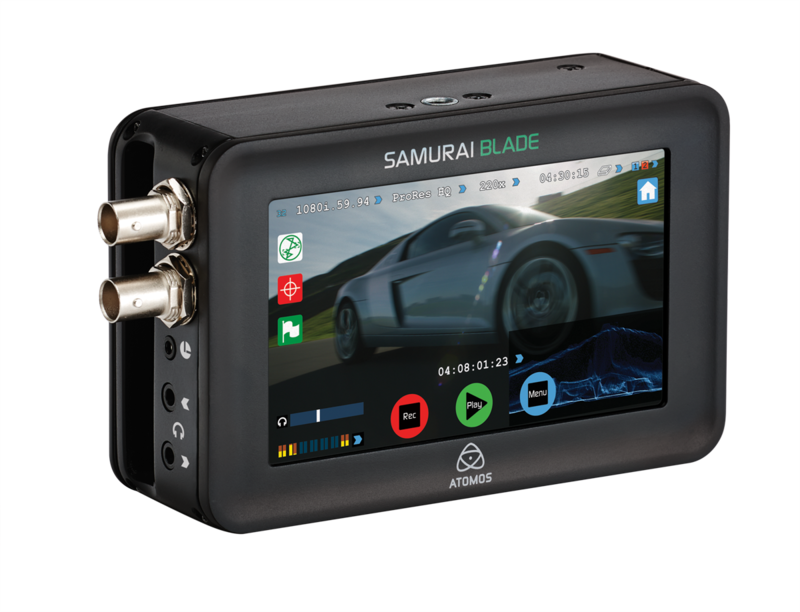 Like the slightly smaller Atomos Ninja, the Samurai Blade can record to hard drives or SSDs. 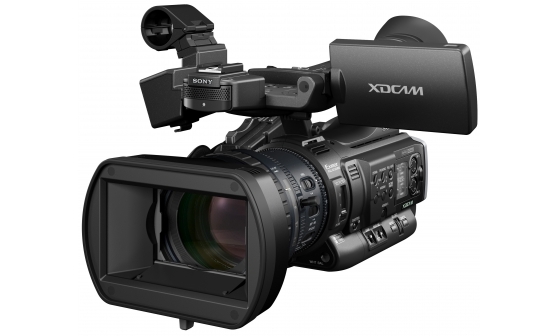 But unlike the Ninja, the Blade uses HD-SDI inputs to record ProRes or DNxHD. The unit, which is based around an IPS panel, also has on-board audio monitoring. 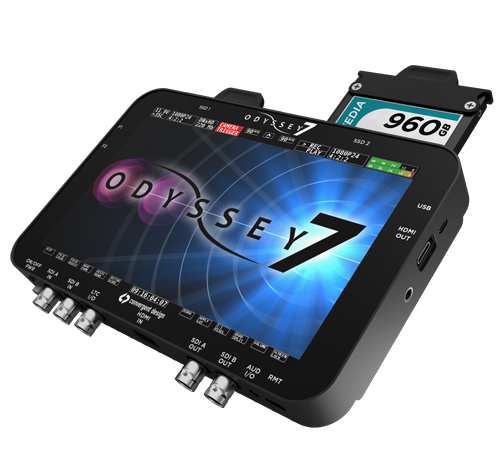 The recorder supports higher-end cameras from RED, Arri and Canon, as well as any camera with an HD-SDI input, in up to 10-bit, 422, as well as C-Log (Canon) and S-Log (Sony) recording. 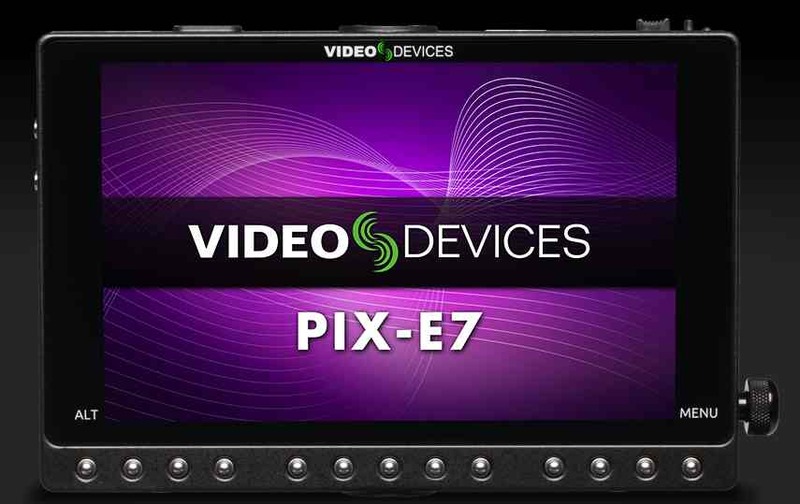 The Blade also has the usual focus assist and exposure check features common to other Atomos devices, including peaking and zebras. The Ronin recorder has a slightly lower resolution screen (800×480, but also five inches) but adds the ability to run off AC power, with a battery back up. The recorder also features XLR audio inputs, and timecode record. The Ronin, which is targeted at studio use, fits in a half-rack unit, and two units can be installed side by side for installation applications. The Samurai Blade will cost $1299, and the Ronin $1995, or $3495, with a rack adapter, for two units.